You’re the kind of person who likes to create your own destiny, and your own coffee. Your standards are pretty high, and your daily brew is no exception. The possibilities are endless when it comes to making coffee at home, but you want simplicity and consistency, and you demand gourmet quality. To achieve that, you need all the options to make the perfect choice for your caffeinated lifestyle. Enter Grind and Brew Coffee Machines. 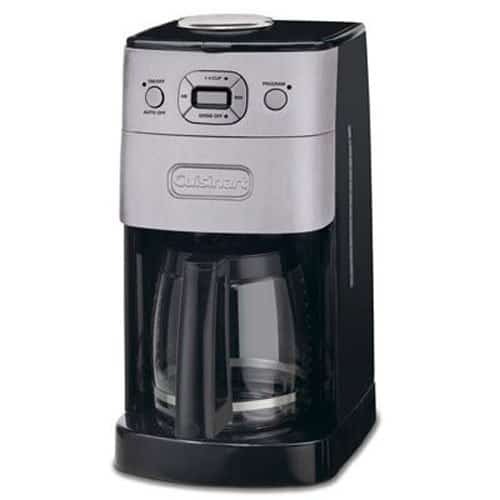 Purchasing a coffee maker with a built-in grinder offers several perks. First, you know that freshly-ground beans are key to getting the best flavor. So a grind and brew automatically offers this feature every time. 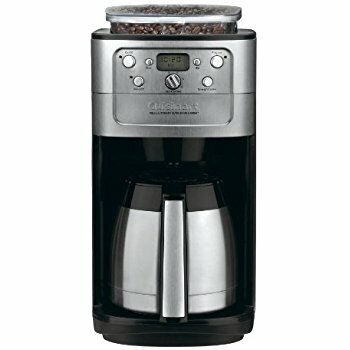 Second, a grind and brew machine eliminates the cost and clutter of a freestanding grinder. 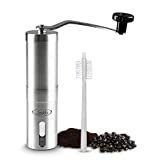 Third, it saves you the chore of grinding your beans every time you make coffee. And fourth, it takes the guesswork out of making coffee that is exactly what you want each and every time. Knowing which machine to invest in, however, can be overwhelming and time consuming. Not to worry! 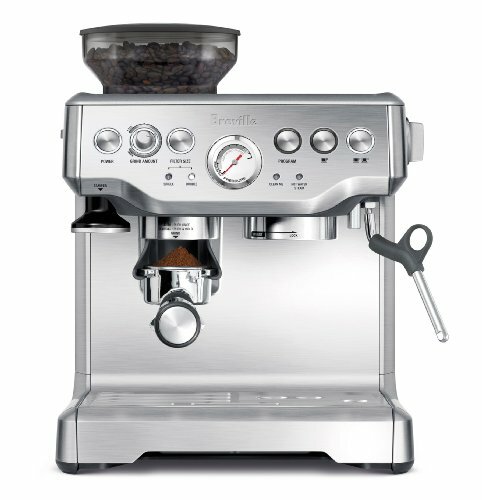 We have compiled a list of the best grind and brew machines the market has to offer. 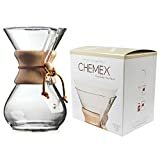 Now you can make an intelligent, informed, and stress-free decision, while being sure the coffee snob in you is getting the absolute perfect model for your lifestyle. FREE Download: Barista tips on how to make the perfect coffee at home – Click Here, you know you need this! 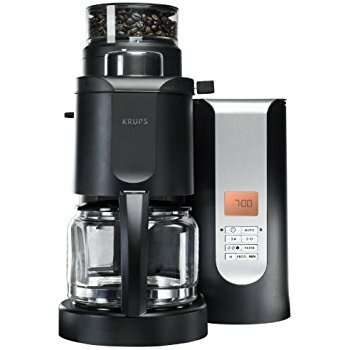 1 – What type of grinder does it have? The mechanism of these coffee machines can be either a burr or a blade grinder. The blade grinder is less expensive, but the grind size is not as consistent as a burr and the friction-generated heat can negatively affect the taste of your brew. 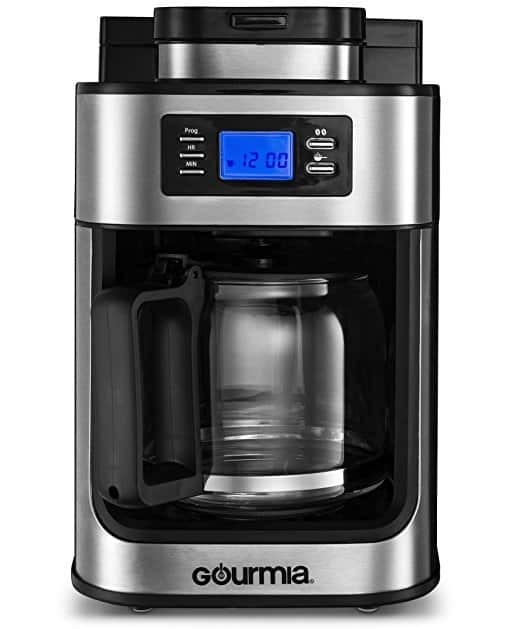 The burr grinder is slower, but makes a more consistent cup of coffee. Also, can the grinding feature be disabled to allow you to use pre-ground coffee? 2 – What type of carafe does it have? Glass carafes require a hot plate to stay warm and can damage the flavor of your coffee. A thermal carafe, on the other hand, holds in the heat without altering the taste..
3 – What size carafe is optimal? Do you just need a cup or two at a time, or is a 12-cup option crucial for you? 4 – Is it easy to use? Is the display easy to read? Are the instructions clear? Is it simple to program? 5 – Does it have a water filtration system? Most grind and brew machines have this feature. The quality of your water is vital to the quality of your coffee. Filtering the harsh chemicals vastly improves the flavor of your finished product. 6 – Is a “pause and serve” feature something you want? 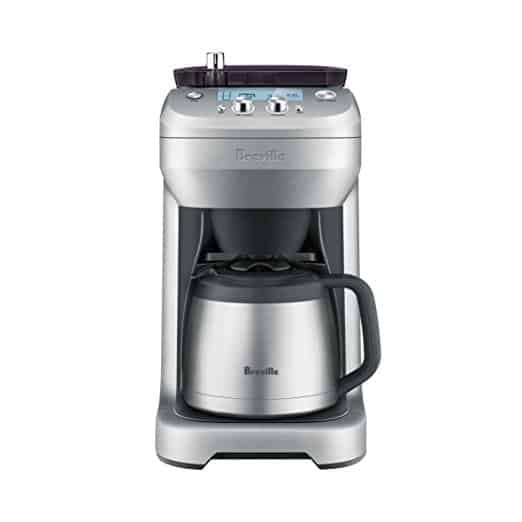 Many coffee makers offer the option to sneak a cup before the brewing cycle is done. If you are often impatient for your first cup, this is definitely something to consider. 7 – What are the reservoir and hopper sizes? Pretty self-explanatory – how much water will it hold? How many ounces of beans will it hold? 8 – Is it easy to clean? They all claim to have “easy clean up”, but look closely at the number of parts and whether they are dishwasher safe. 9 – How many strength settings are there? Not everyone thinks 2 tablespoons to 6 ounces of water is perfect. If you like your coffee stronger or weaker, having the optional settings is a must for you. 10 – What is the brewing temperature? In a perfect world, somewhere between 195 and 205 is optimal. 11 – Does is include an automatic shut-off? Maybe you’re the exception, but most of us are pretty forgetful about the little details. Having a coffee maker that turns itself off is a definite plus. 12 – Is it attractive? If it is going to make fabulous coffee, it might as well LOOK fabulous on your coffee bar as well. Some machines even offer a wide array of color options. 13 – Does it fit your space? Let’s face it, not all of us have unlimited counter space. Check the dimensions and see what works best for you. 14 – And finally, How much does it cost? We all have different expectations and budgets, and you want to get the best brew your wallet can afford. PRO: Cost. 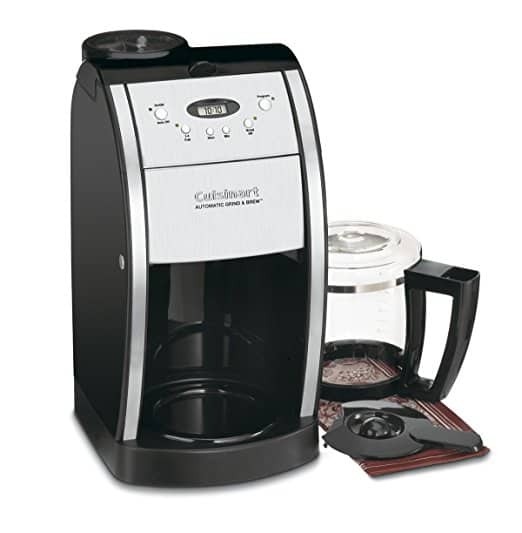 For just over $50, this gives you some nice features your regular coffee maker doesn’t have. PRO: Simply, great coffee at a great price. PRO: This machine is a steal of a price. User-friendly, easy to clean, quiet grinder. Right here in the middle is an Espresso Machine that makes the list. 67 ounce removable water tank with an attached handle. 3 color options: stainless steel, black, and red. 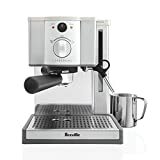 PRO: This machine has all the bells and whistles for making the best espresso. CON: Expensive for an “at home” machine, but well worth its price tag. 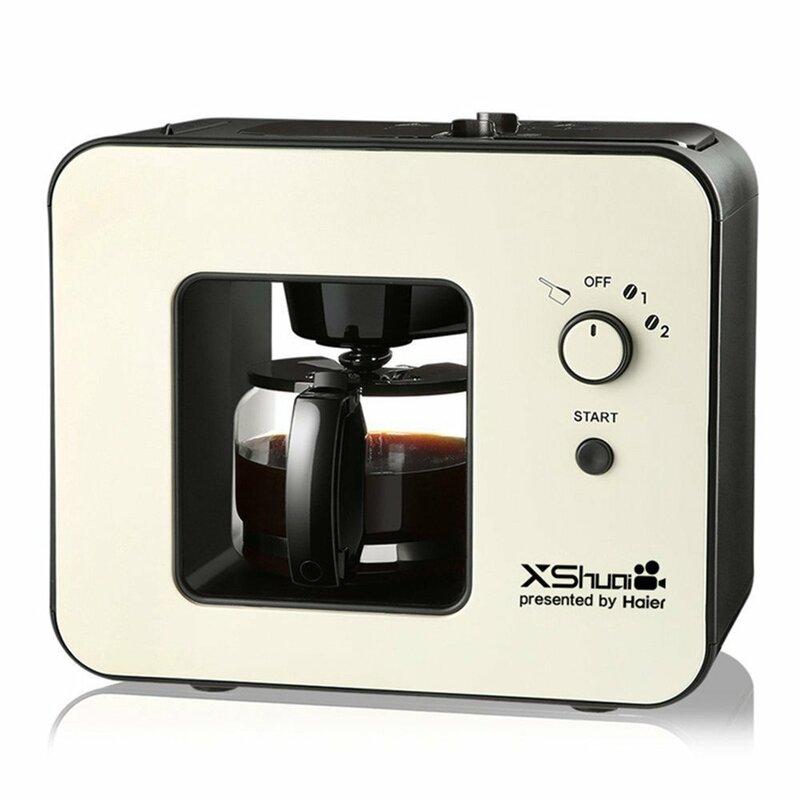 PRO: The simplicity of this machine makes it the perfect choice to replace your Keruig. 2-hour automatic shut-off for added safety. 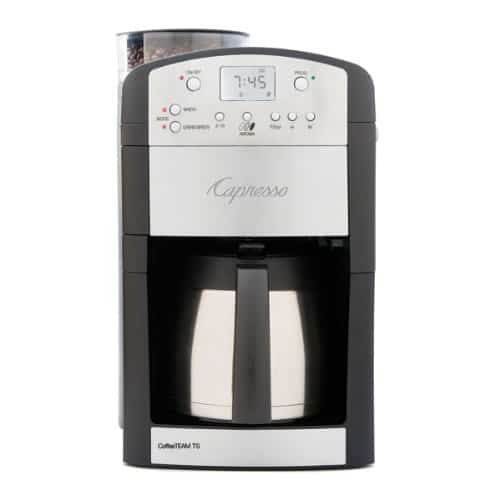 Brew pause function when you want to grab a quick cup without spillage. 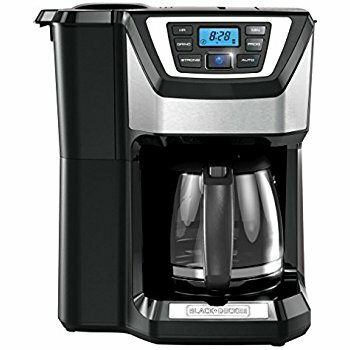 PRO: This coffee machine has it all, from single-serve option to an insulated carafe. With this model, you get what you pay for. CON: Takes up a lot of counter space and is not as easy to clean as other machines. So take a long hard look at this list and take the plunge. Write down your own list of pros and cons then decide what is most important to you. No matter what your list looks like I’m sure one of these amazing machines will do the trick! 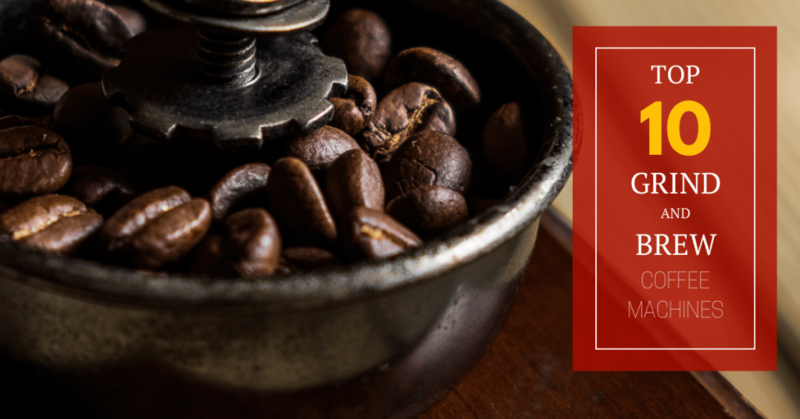 Key Factors to Making The Perfect Coffee at Home! Click Here to Get The Checklist!